I am a web designer and developer who work to create beautiful, perfect brands, outstanding websites and creative concepts. I took up Bachelor of Science in Information Technology in CIT-U. With 8 years experience as a web designer and developer. I love playing video/computer games, basketball, and watching movies. I am a very passionate in doing my job. I will do my best to meet my client's expectations and build a perfect website for their organization. Me as a Web developer/designer. I love designing and making websites. Whenever I saw some new web designs it inspires me. I create simple and clean websites that are easy to use but beautiful to look at. I build websites using a CMS such as Wordpress and Magento for a shopping site. I use Adobe Photoshop and Illustrator for designing. 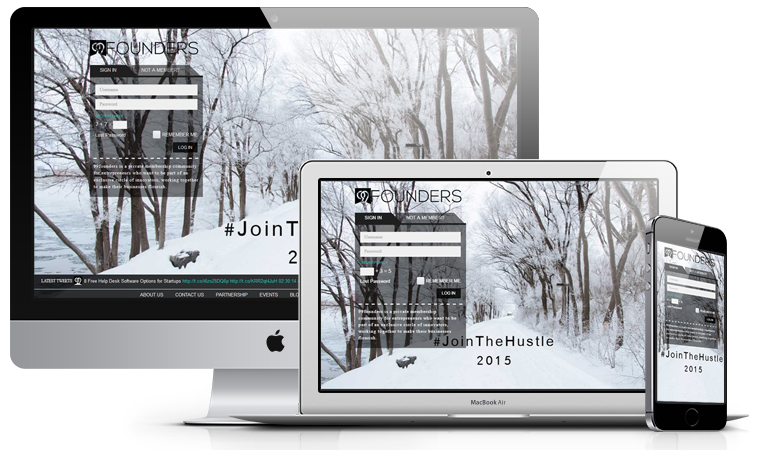 99founders is a private membership community for entrepreneurs who want to be part of an exclusive circle of innovators, working together to make their businesses flourish. I work hard to design beautiful and highly engaging websites that are always built on the latest responsive technologies.. I build websites that look great and easy to use. Interact with your users on the web across a wide range of devices. Let me help you create an experience that will delight your users and ensure them the best experience. I develop websites that are simple to update and customized for each client. I used Wordpress and Magento CMS for my web development because its easy for admins to manage. © 2018 CL Web Creations. All Rights Reserved.